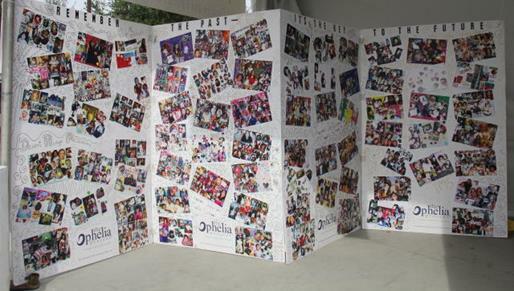 The Ophelia Project Art Awareness program has become an integral part of the Ophelia Project program model. In 2009 we addressed funding cuts that have removed the arts from schools by adding an art component to Ophelia Project curriculum to enhance scholastic achievement. 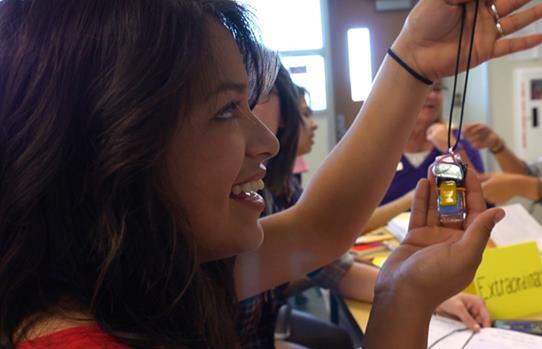 With so many scientific studies outlining the numerous ways that the arts engage and empower students to achieve at their highest potential, the Ophelia Project Art Awareness program has become an integral part of the Ophelia Project program model. Since 2009, Gideon Cohn has served as the Art Director for the Ophelia Project and has set a new standard in the business model for the National Ophelia Project. Gideon and his wife Melody also an artist, have volunteered to assist in designing and directing a different art project each year for Ophelia girls. The art projects have focused on connecting students to their heritage and their community. Each year these art projects have been prominently displayed at various public venues in our community. John F. Kennedy Memorial Foundation and the Ophelia Project are so grateful to Gideon for developing the art component to be added to Ophelia curriculum. Gideon is a local artist who lives in La Quinta, California with his wife Melody, where his unique and colorful gallery is highly regarded and is somewhat of a ‘destination’. 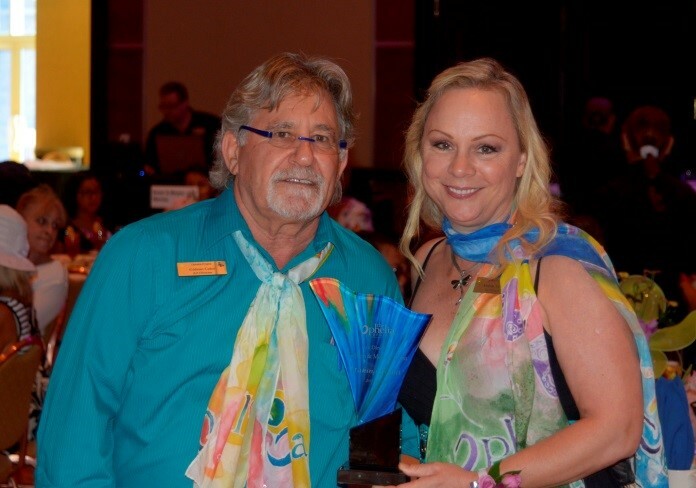 Gideon is very involved in community affairs and works with several nonprofit organizations promoting the arts and encouraging art education for youth. Gideon and his wife Melody are strong volunteer advocates for Ophelia Project and both are making a huge difference in the lives of so many young girls! John F. Kennedy Memorial Foundation and the National Ophelia Project owe so much to Gideon Cohn! Gideon, you have our eternal gratitude! Symbolizing a beginning, hatching from the egg into the world and becoming a majestic butterfly. 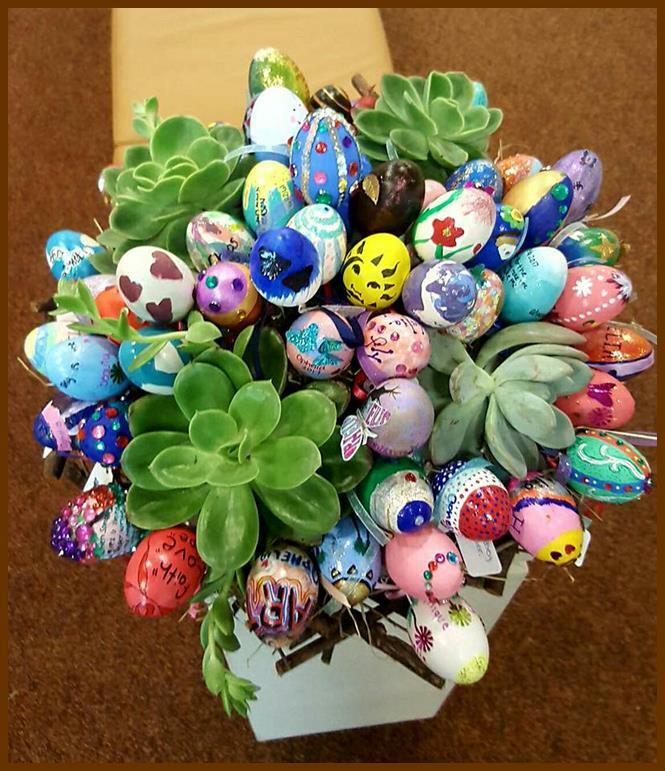 700 Ophelia girls received a ceramic egg, plain white in color, hollow inside with a hole at the bottom, allowing for installation of a holding stick for stability. Each girl created their own ‘Faberge-like’ egg and wrote a statement reflecting her feelings and positive thoughts about Ophelia. 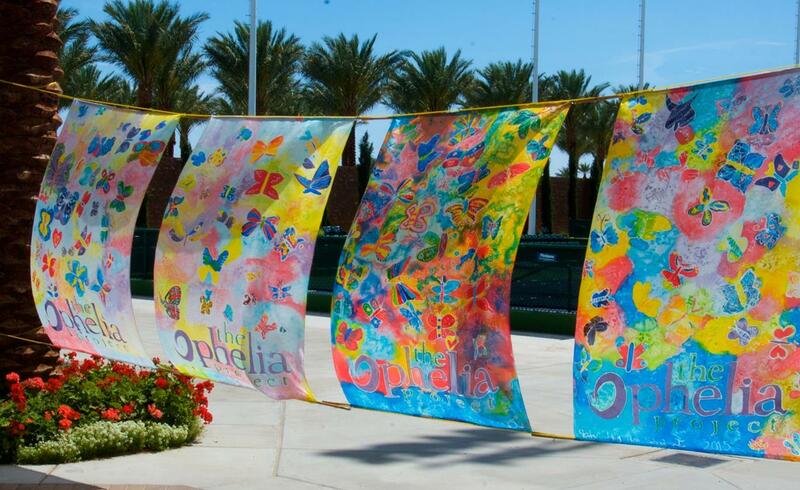 650 Ophelia girls worked together to create five 8’ X 15’ impressionistic American flags signifying the unity of Ophelia sisters across the valley. The girls were givenplain white fabric, assigned to a particular color, selected scraps of material and decorative items, creating their own artistic fabric mosaic. 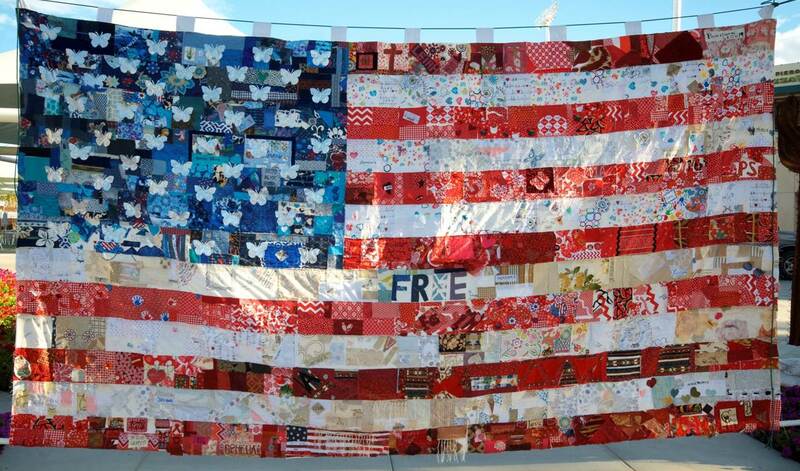 All red white and blue mosaics were assembled and sewn to create the 5 large impressionistic American flags. The flags are displayed annually at the City of La Quinta Veterans Day event. Ophelia Girls in each school worked as a group on a single art piece based on a similar topic. Each group created a unique 55” X 55” silk and dye banner based on their interpretation of the theme. 550 girls utilized their artistic expression through the medium of fused glassed to create a one of a kind piece of jewelry for an Ophelia sister across the valley whom they had never met. 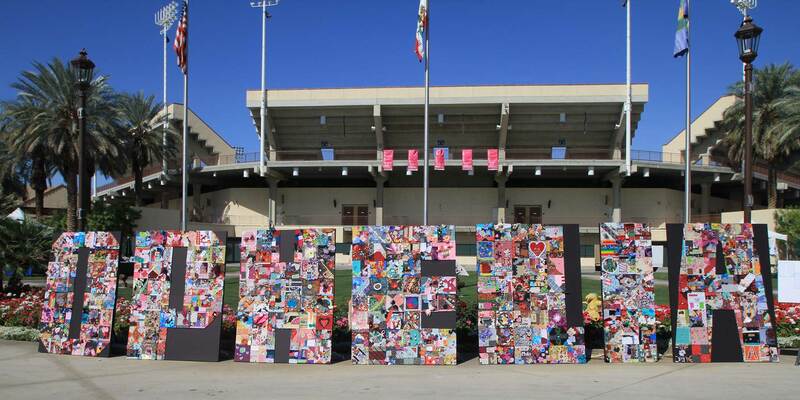 Featuring individual tapestries fitted together to create a large tapestry in the shape of one of the letters in the word O-P-H-E-L-I-A, each of the seven schools assigned a letter. The goal demonstrates the importance of each individual’s role in community, the relationship to the whole, weaving the threads of the large tapestry that is our valley community. Providing the impetus for each girl to research their own family history to gain a better understanding of who they are today and who they can become in their future. environment, respecting and preserving our resources. 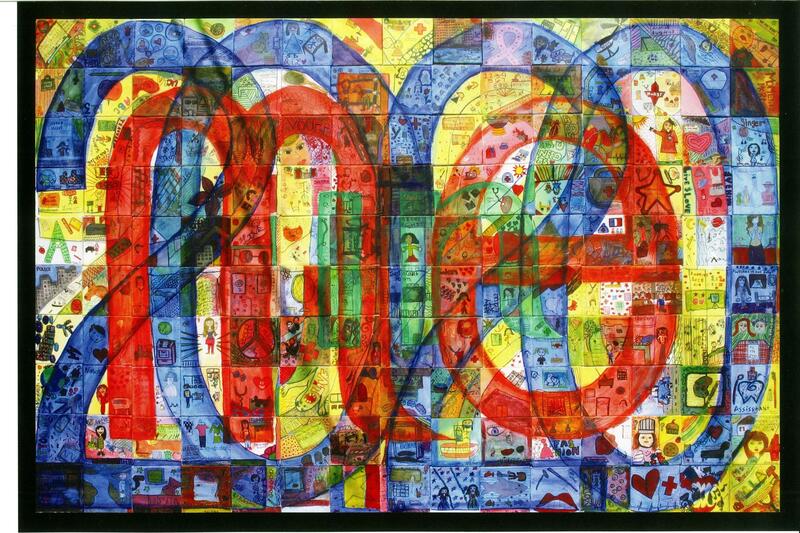 canvases fastened together in a single large collage becoming “150 Dreams”.